We’ve been hearing about a new traffic law that would go into play on April 1st but little has taken place in the way of educating people about it. Yesterday, LBCI’s Kalam Ennas did an entire episode for that purpose. Here’s a summary of what you need to know when it comes to the new law at hand. Those ugly oversized laminated pieces of paper that we have are to be replaced with a more advanced driver’s license form with a smaller size and an electronic component. Of course, this won’t start as soon as the law is set in place because they haven’t agreed on the company to handle this (biggest wasta is yet up for grabs), and you will be forced to pay in order to replace your driving license which is also something you are forced to do. The license comes with 12 points that will be deducted according to the traffic violations you do. Deductions can range from 1 point to up to 6 point per violation (violations detailed later). When you run out of points, your driver’s license will be revoked for 6 months. If this occurs more than once in a period of 3 years, the license will be revoked for 1 year and in both cases you will be forced to undergo new driving lessons. Licenses have to be renewed every 10 years now instead of when you reach the age of 50. How many of you here were taught by your parents or a friend how to drive? Well, forget about that. When the new law is set in motion, the only way you’ll be able to take the driver’s license examination is by having a paper from a credible driving teaching institute stating that you’ve taken the required driving courses. This sounds like a good thing in principle, after all many of the people teaching us how to drive are not exactly exemplary drivers. However, the government states that “credible institutions” will be assigned through rigorous standards. How rigorous will the standards be in front of those people’s connections? 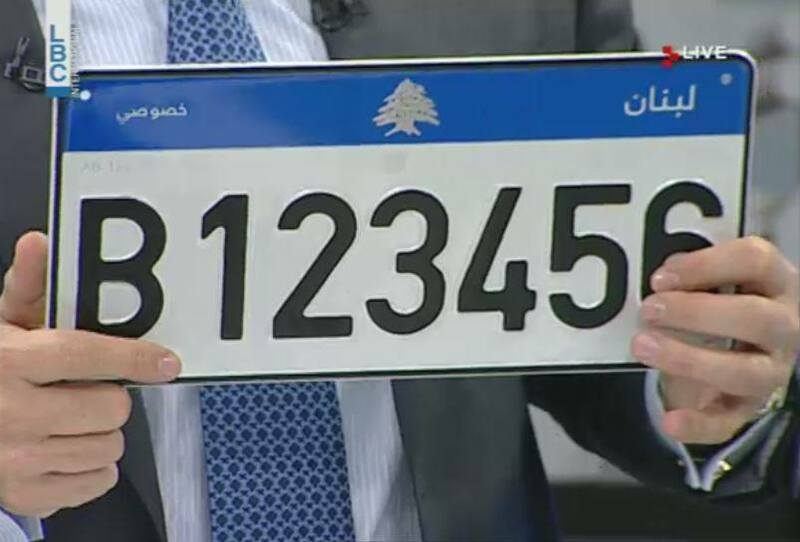 I always thought the Lebanese car plates, a rip-off of the European Union’s, were not bad at all. Either way, those license plates are also about to change and will also cost you more money. They will also have a built in electronic device to keep the record of your car as well as to enable easier tracking of your violations. Any alterations to the car plate, be it to prevent a correct reading or to alter numbers, incurs from 3 months to 3 years in jail as well as a 2 million to 20 million LBP fine. Under the new law, driving violations are divided into 5 main categories with increasing fines as well as repercussions. There’s also a subset for fines incurred by pedestrians. The value of the fine will be dependent on the time it takes for you to pay it. You are given a delay of 15 days to pay the initial sum, then it is increased for the next 15 days of the month before being increased later on and referred to a traffic judge for further management. A pedestrian who doesn’t respect the pedestrian passage sign or doesn’t use the pedestrian bridge to cross a road can be fined between 20,000LBP to up to 100,000LBP if that person doesn’t pay. Category 1 violations include not wearing a helmet for bicycles as well as not using side mirrors. Fines can range from 50,000LBP to 150,000LBP with 1 point deducted from your driving license. Category 2 violations include using dark tainted windows (fumé), not having a car-seat for children under the age of 5, seating a child under the age of 10 in the front seat (all those childhood dreams are ruined), transporting a child under the age of 10 on a motorcycle, etc. The fines will range from 100,000LBP to 300,000LBP with a 2 points deduction. Category 3 violations include not using a seatbelt, a helmet on a motorcycle and mobile phone use while driving. Fines will range from 200,000LBP to 450,000LBP with a 3 points deduction. Category 4 violations include running a red light and not giving pedestrians the right of passage. Fines will range from 350,000LBP to 700,000LBP with a 4 points deduction. Category 5 violations include doing dangerous maneuvers (betweens come to mind), running from the site of an accident, not having insurance, driving on one wheel or standing while driving (for motorcycles obviously), as well as using radar detection methods. Fines will range from 1million to 3million LBP with 6 months deduction as well as the possibility of up to 2 years jail time. Driving under the influence of a substance or exceeding the speed limit will be violations with varying categories depending on the type of substance, its level in the blood as well as the speed you were driving with. In typical Lebanese ways, there will always be people above this law in question. When one of the guests was asked by Marcel Ghanem if politicians, politically-backed people and those of influence would be under the same regulations, the guest shrugged it off. “This needs a political decision,” he said. Because, clearly, the whole rhetoric of “protecting the Lebanese citizen with 21st century regulations” doesn’t apply to the convoys threatening our lives with their barbaric driving, to those who have no problem running you over knowing they don’t face repercussions and driving recklessly just because they can. If you look at the law in absolute value, it’s wonderful and a joy to have in any country. I’m all for 21st century level regulations to protect people anywhere. The problem here is that we are importing a 21st century law from European countries to a country whose infrastructure is still firmly stuck in year 1954. Has the government seen the highways? Have they seen all the ignored potholes? Have they seen exactly how few pedestrian bridges we have? Have they seen that there are no bike lanes, that there’s absolutely NOTHING when it comes to our roads, to our cars, to our entire regulations that actually allow Lebanon to aspire to become a European-level country when it comes to driving? The highways are not lit the moment you leave Jounieh. The infrastructure, horrible as it is, becomes even worse when you leave Keserwen going North. Aspiring to be “European” is more than having a fancy looking plastic license. Moreover, the organization who will apply this law, our security forces, is one whose track record, despite an effort over the past couple of years to fix its image, shows that the Lebanese citizen cannot hold it accountable. How many corrupt policemen roam our streets? How many policemen are more than willing to shrug off their work just because they don’t feel like it, as has recent years proven to all of us including me (link)? How long can we even expect those policemen to actually try and apply the law before they get bored or isn’t the smoking ban example enough? How many corrupt policemen won’t be held accountable for exerting power over us illegally just because they can and because we cannot stand up to them? In Lebanon today, raising fines will be nothing more than another source of revenue to a government whose entire purpose of existence is to take and take, but never ever give back. Where will the money go? Who knows. The Lebanese state follows this basic mode of action: you’ll pay us, we’ll make sure you do, but we won’t offer anything in return. And you will be happy doing it, no questions asked. Smile and wave, everyone. This entry was posted in Lebanon and tagged cars, corruption, Driving, Lebanon, politics, traffic law. Bookmark the permalink. This is frustrating, yet true! All these rules won’t make a difference, the police need to actually to do their jobs so they can fine anyone..Big number plates so that the radar camera can get a better pic..People (especially in Tripoli) don’t bother to get number plates and they roam the city without them..The younger generation needed to be taught the proper way and bribing their way through the test should be stopped..so many issues that will never be addressed coz Lebanese simply don’t care and 70% of them haven’t lived for more than a month in any European country to know what it’s like to be sensible and smart. P.S WHAT IS IT WITH LEBANESE DRIVERS AND HIGH BEAMS?!!! Are they blind? or maybe it’s the smoke from the Argileh that is clouding their view and obviously judgement. Safety is a real issue. I have visited Lebanon many times but would never want to drive there because people drive recklessly without any regard for other drivers or pedestrians. Stop lights or and any road signs are ignored . I live in the U.S. and enforcement over time does change driving behavior. But the U.S. addresses the safety issue from all angles, police enforcement, vehicle safety inspection and insurance. Our taxes are allocated to address many infrastructure and services. All of these things help in addressing driver behavior and car safety. There is more accountability in our system for sure and corruption isn’t running rampant. Lebanon needs a holistic approach. Infrastructure lights and repairing roads is another side issue that can cause accidents, but I’ve witnessed a lot of near misses in broad daylight. I think if the ultimate goal is road safety, individuals at least need to be accountable. Just because people think the police are corrupt doesn’t mean they should drive like maniacs. I guess you didn’t read this part: “A pedestrian who doesn’t respect the pedestrian passage sign or doesn’t use the pedestrian bridge to cross a road can be fined between 20,000LBP to up to 100,000LBP if that person doesn’t pay”.. So yeah the person crossing the highway will be fined also though not as much as the one who hit him,that’s why you have to be careful for those dumb night runners. I am with organizing the traffic and put laws and all. But before they should consider fixing the roads, drawing pedestrian lines, lighting the roads, fixing the signs… Most accidents are actually due this! Mariam I wholeheartedly agree with you. The government should do its job. It is there to do a job. A lost concept on Lebanese politicians: their responsibility towards this country we all call home. Those politicians that are exploiting their positions to steal, receive bribes, and blackmail people, are responsible first and foremost for making sure the proper infrastructure is set in place. – Highways and Beirut main roads should be in peak condition as they accommodate the majority of traffic. – Street lighting should be on all night, every night, in all areas, regardless of electricity cuts. This can be achieved via solar street lighting or re-wiring the electricity grid to make street lights independent of cuts. – Police officers who do not have emergency circumstances should respect the law and be punished to the maximum extent if violations occur. – Pedestrian walkways, bridges and sidewalks should be set in place. – A nationwide revision of speed limits should be undertaken – there are places in Beirut where the speed limit is 30!! For example towards the end of the bridge connecting Ashrafieh to Dekwaneh (crossing over Burj Hammoud). This is a major crossing bridge and that is just ridiculous. – Where does the fine money go?????? I am very interested to know that. Accountability anyone? That is a lot of money in fines. Is it for improving roads and sidewalks? Or for some self-absorbed douchebag to buy a new jeep for his mistress? – A lot of other things I am sure we can all think of. The point is this: BEFORE they can hold people accountable on an international level, they should uphold the country’s infrastructure on such a level. Sorry for the rant 🙂 I get all worked up when it comes to such topics. The rules standing alone seem to be well organised and with good intentions however there is so much more expected from the government to fix before they are applied. The least we can ask for is for roads to be lit! Many people have a mild form of cataract (most people don’t really know they do, but they feel that their night vision gets worse at night). Driving at night for me is a struggle! I feel bad putting the high beams on when I have cars in front of me but its impossible to drive on those highways at night – I avoid driving after sundown as much as i can. Also, this part “law doesnt apply to all” could be acknowledged if the law is giving exceptions for the Ambulance, Red Cross… something major! Not for the politicians going for lunch with their mistresses! In canada its about 100 dollars for a no seatbelt. Considering that minimum wage in the same country is probably around 1600 with a 40 hour work week, no prob. But in a country with an 800000 minimum wage for a 60 hour work week, lol, 200000? Thats like 25 percent of the wage. Thats ridiculous. Tell the police to start wearing their seatbelts and fix their broken taillights. Or better yet, tell the government to fix the economy instead of just pocketing cash for themselves before they start giving tickets like that. Thank you for that. Good point. Also why should the citizens pay for new biometric passports? New licenses? New plates? The government could and should subsidize a large part of this. Instead they are making money off of it. From the poorest to the richest person. If you think of the poor ‘service’ drivers alone, who need their cars to make a living, this is a lot of money. We haven’t even talked about fines yet. I agree with all, except the roads are the best they have been in years, and getting better buy the day, paying attention while driving should be priority #1, do your part and don’t worry about others! To me we live in a safe protected country that needs some refining and expanding, all and all I rate my homeland number 1 to visit and live, anyone that says otherwise is blind, weak and ignorant! 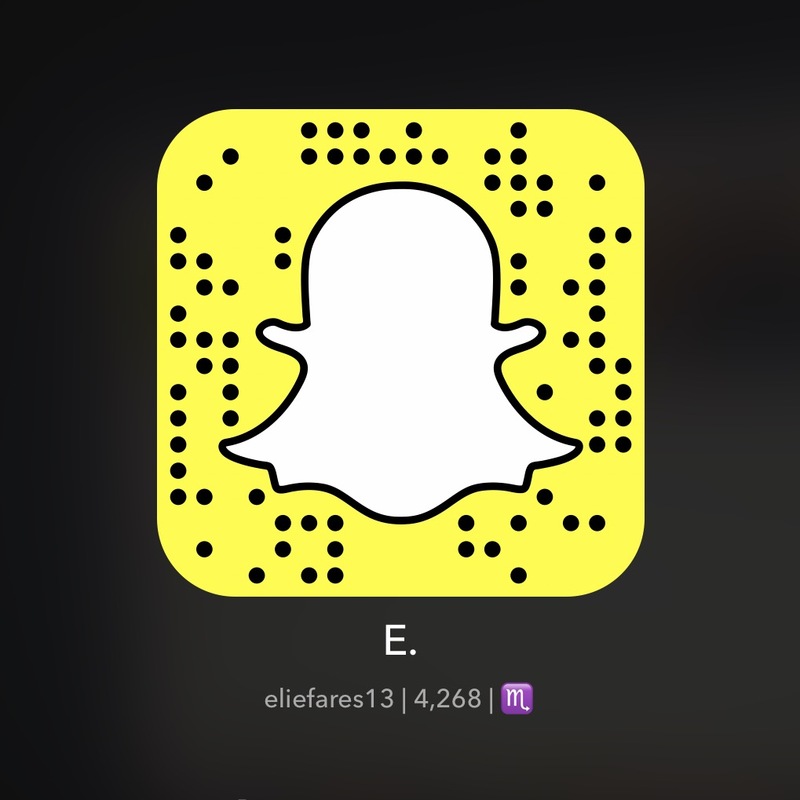 I have most of your questions, ask and ill answer free of charge. Most importantly don’t critisize before you are sure of the topic or disscussion. I am born here, have travelled abroad and lived in north america for over 2 decades, I love lebanon with a passion and respect its ways, help solve the issued not insult them! I understand change is difficult , but it is definitely needed to move forward. Seriously? Mirrors for a bicycle? ARE YOU KIDDING ME? So it was a Sunday to be precise the 3rd of May 2015, my mom traveled to Austria and I decided to pay her a visit before she heads off. Anyhow on my way there I saw cops stoping traffic and having vehicles being pulled to the side. I guess being an Austrian citizen I like to be prepared and informed. Unfortunately out of all new laws that have been passed I never heard of motorcycles not being able to ride on the Highway. Nor was there a sign on either side (coming from Beirut or Khalde) that two wheeled vehicles are prohibited on this stretch. Don’t take my word for it the stretch might even be longer than that. Which brings us to the question what is Highway and what is not. I assume as long there are no shops to the left and right side it’s considered as one. Sounds logic but again I may be wrong there. I’m used to drive/ride in different countries and know as a matter of fact that most of the european countries that Lebanon is so desperately trying to adapt their law too it is indeed forbidden to ride a 2 wheel vehicle on the Highway if it is below 125cc. That’s why most countries on this planet have a different test for moped’s and motorcycles. To my surprise after passing the test with a damaged 50cc moped here u can directly jump onto ur Harley and head off. (The test requires you to know 3 street signs out of an A4 sheet and being able to ride slalom along 3 stones without touching the ground). Anyway back to my incident of today. As I got stopped on my way back to Beirut I had to face comments and arguments from some pretty angry police offers who may or may not have liked their job at all which is understandable if you think of the whole picture rather than my small case of mine. ess our taxes are not enough for us to be eligible for a ride on the highway. So I found myself stranded on the Highway with not a single lira in my pocket and I also ran out of credits so I couldn’t call a friend to pick me up. In most countries I know it is illegal to walk on the highway unless you have been a passenger of a vehicle that broke down. Well I am glad the new law is so concerned with our safety and that it’s making sure to protect us from all the dangers we might encounter. Am I pissed that my personal means of transport got taken from me (till tomorrow), a little but I guess it has its reason who knows maybe I would have been in an accident caused by a reckless car driver or perhaps a cop jumping in front of vehicles assuming this is the most appropriate way to stop them.